Chronic diseases have rapidly become the leading global cause of morbidity and mortality, yet there is poor understanding of this transition, or why particular social and ethnic groups are especially susceptible. In this book, Wells adopts a multidisciplinary approach to human nutrition, emphasising how power relations shape the physiological pathways to obesity, diabetes, hypertension and cardiovascular disease. Part I reviews the physiological basis of chronic diseases, presenting a 'capacity-load' model that integrates the nutritional contributions of developmental experience and adult lifestyle. Part II presents an evolutionary perspective on the sensitivity of human metabolism to ecological stresses, highlighting how social hierarchy impacts metabolism on an intergenerational timescale. Part III reviews how nutrition has changed over time, as societies evolved and coalesced towards a single global economic system. 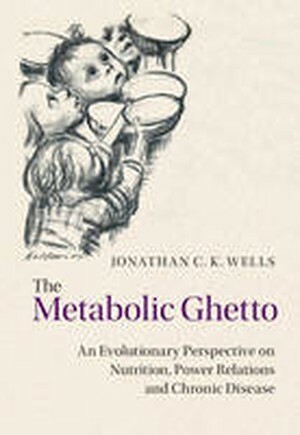 Part IV integrates these physiological, evolutionary and politico-economic perspectives in a unifying framework, to deepen our understanding of the societal basis of metabolic ill-health. Preface; 1. Introduction; Part I. The Physiology of Chronic Disease: 2. Models of chronic disease; 3. Links between nutrition and health; 4. The developmental origins of disease; 5. Life-course models of chronic disease aetiology; 6. Applying the capacity-load model; Part II. An Evolutionary Perspective on Human Metabolism: 7. Life history strategy; 8. Ancestral environments; 9. The evolution of human adaptability; 10. Sensitivity in early life; 11. The evolutionary biology of inequality; 12. The metabolic ghetto; Part III. A Historical Perspective on Human Nutrition: 13. The emergence of agriculture; 14. Trade, capitalism and imperialism; 15. Hierarchy and metabolic capacity; 16. The emergence of consumerism; 17. Enforcing obedience; 18. The dual burden of malnutrition; Part IV. Power, Nutrition and Society: 19. A series of games; 20. A question of agency; Epilogue; Index.